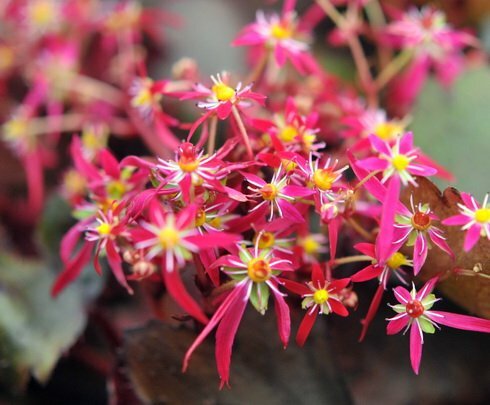 Rich cerise red flowers and apple-green foliage on this super Japanese Saxifrage. 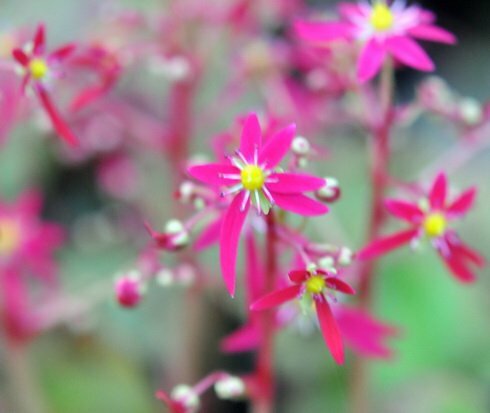 A new Japanese 'Woodland' Saxifraga with stunning flowers! The foliage of these plants is much more like a standard herbaceous perennial - generally palmate with deep indentations, quite fleshy with fleshy petioles also. 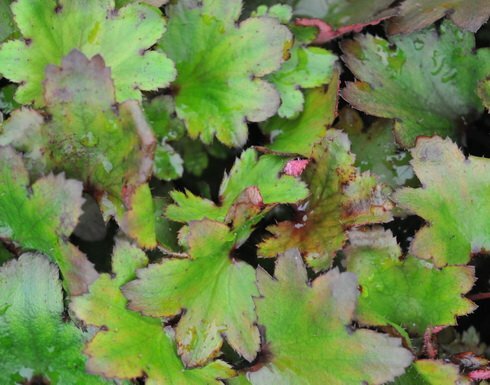 The foliage on this variety is rich apple-green with scattered fine hairs. The flowers are vivid and held in clusters on short stems above the foliage, colour is a rich cerise-red which last for several weeks in late summer/ Early autumn.